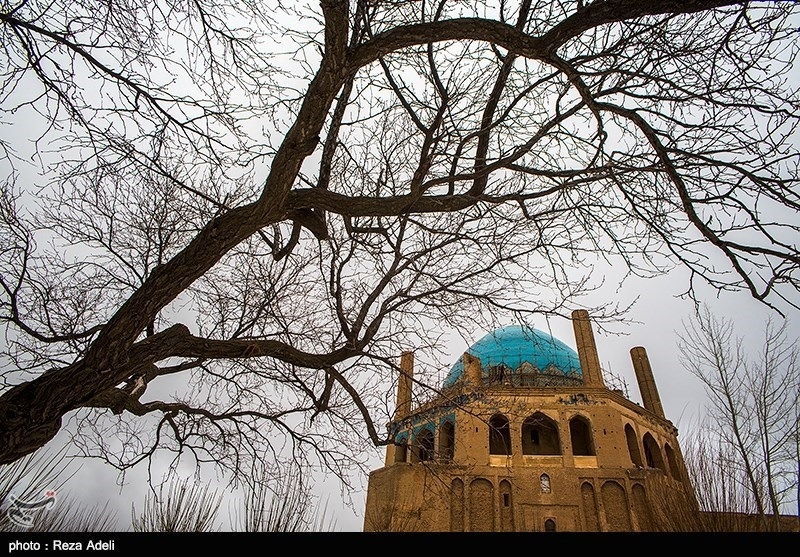 The mausoleum, as an artistic masterpiece of Iranian and Islamic architecture, in Azari style is the first monument through which we can clearly follow the evolution process of Persian-Islamic architecture from Seljuk to Ilkhanid. Brick is the main material used in this building. The plan of ground floor, the first floor and the nearby spaces has been designed as a semi-rectangle shape and the other parts of the plan in the second and third floor is an octagonal on which the dome is stood as a hemispherical form. 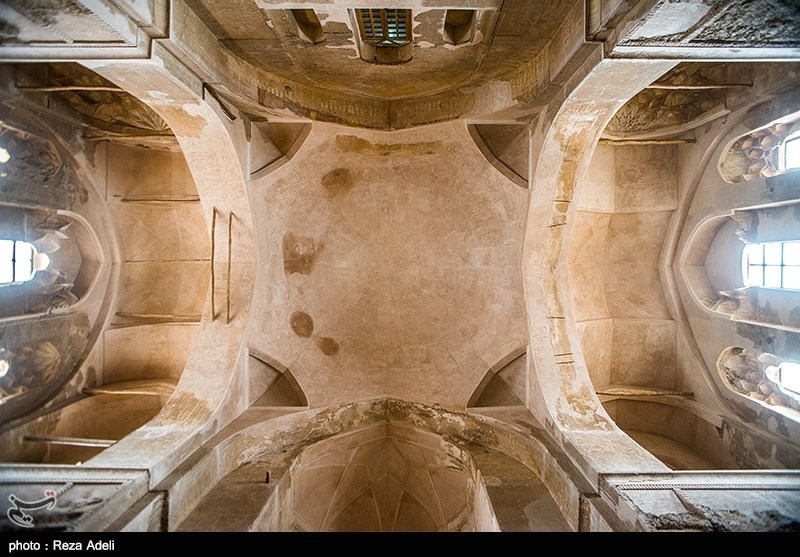 Eight minarets have been designed to place on the angles of the octagonal above the third floor. 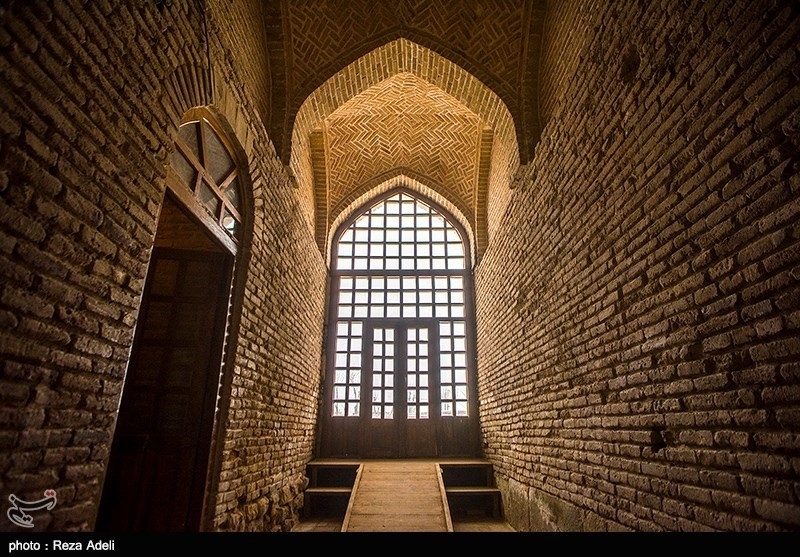 In addition to eight entrances, eight porches, eight minarets and a dome, the building has consisted of a Torbat khaneh and a basement. 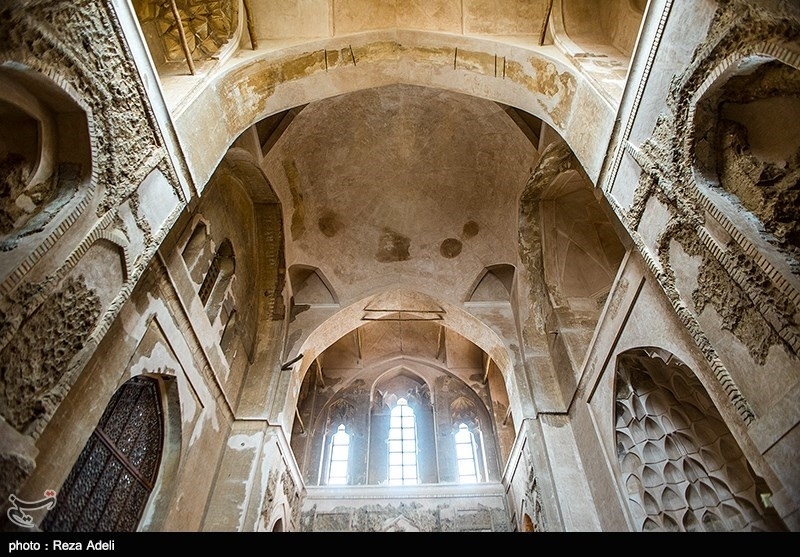 It is stated that the Soltaniyeh skylight windows are similar to the sun clocks which had been used for religious issues. Two-shelled domes are invented here for the first time in the architecture history of the world. 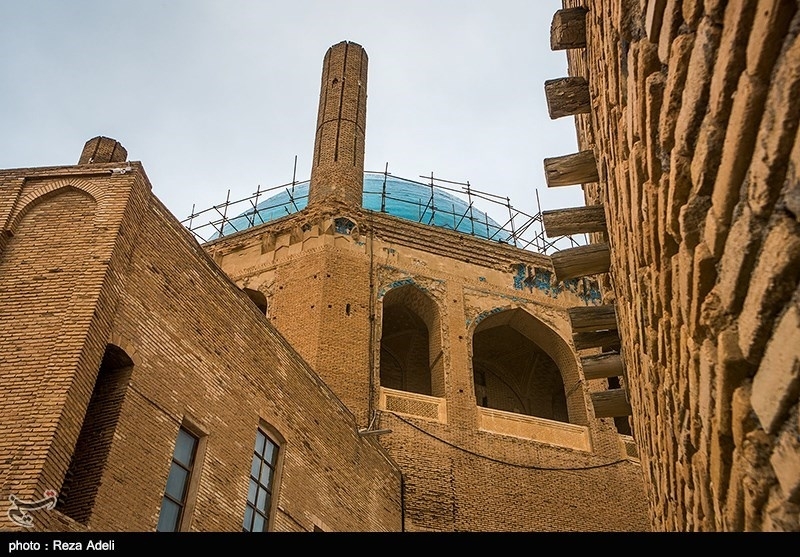 The Soltaniyeh brick dome is the third tall dome in the world after Florence Santa Maria Cathedral and Istanbul Hagia Sophia. The outer shell of the dome has been covered by turquoise blue and ultramarine marquetry tiles. 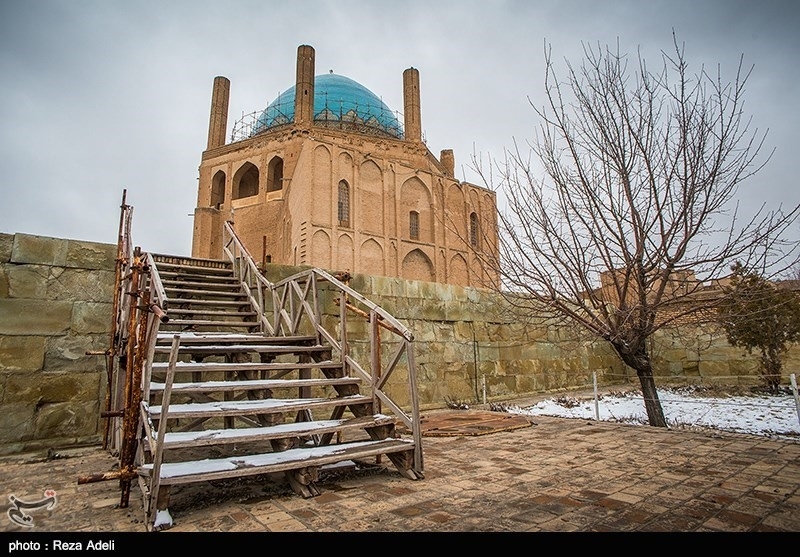 Soltaniyeh dome is two-shelled and the building has various rich decorations. 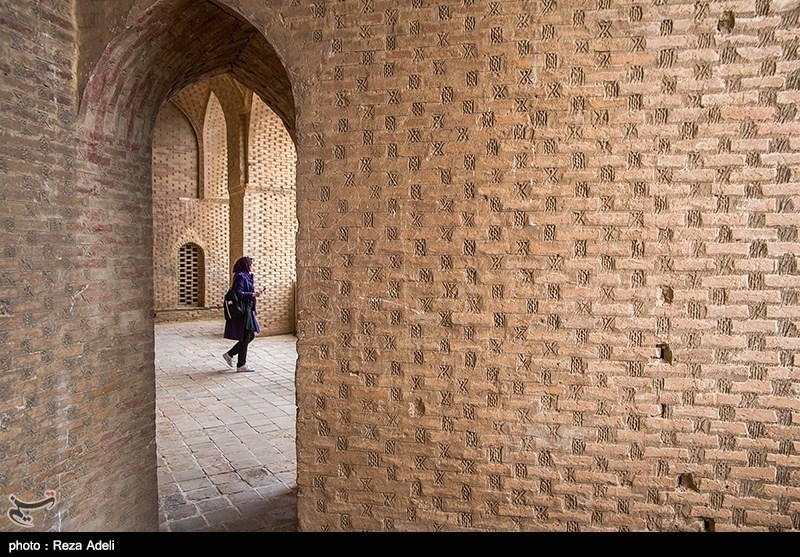 Wall paintings, lattice brickworks, wooden and stony decorations, plaster and brick muqarnas and some Qur'anic inscriptions are among different kinds of architectural decorations in Soltaniyeh.